This reaction occurs at the contact of the skin with something that creates an allergic reaction. Symptoms usually occurs a few hours later or even weeks later. An inflammation of the skin that produces a red, scaly, itchy rash is known as dermatitis. Cosmetic products may contain products that cause allergic reactions. Although a product uses the term “hypoallergenic”, there are no Federal standards or definitions that govern this term. If you think a cosmetic product is causing you an allergic reaction, stop using it. Try other products on small area of the skin before using them on the full face or body. A hive often goes away in 24 hours or less. New hives may appear as old ones fade, so hives may last for a few days or longer. A bout of hives usually lasts less than 6 weeks. The medical term for hives is urticaria. When large welts occur deeper under the skin, the medical term is angioedema. The first symptom of poisoning is a severe itching of the skin. Later, a red inflammation and a blistering of the skin occur. In severe cases, oozing sores develop. 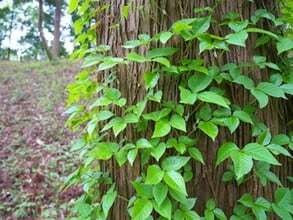 The rash spreads by the poisonous sap (urushiol), not as the result of contamination from sores. The blood vessels develop gaps that leak fluid through the skin, causing blisters and oozing. “Rhus plants(poison ivy, poison oak, poison sumac) are the most common cause of allergic contact dermatitis in the US. Rhus plans contain the potent antigen urushiol, which will sensitize 60% to 80% of the persons who are exposed to it. After the oil has touched the skin, it usually takes some time for it to penetrate and do its damage. Before this happens, it is wise to wash the skin thoroughly several times with plenty of soap and water. Care should be taken not to touch any part of the body, for even tiny amounts of the oil will cause irritation. If poisoning develops, the blisters and red, itching skin may be treated with dressings of calamine lotion, Epsom salts, or bicarbonate of soda. Scientists have developed a vaccine that can be injected or swallowed. But this is effective only if taken before exposure.